Among social media, Facebook is one of the greatest platforms on cyberspace. Anything on Facebook grabs a lot of eyeballs. People highlight serious issues on Facebook to draw the attention of people. Politicians in uncivilized countries try to ban Facebook which is a tool for social activists there that can be used to expose corruption. Thus, it is obvious that Facebook would be targeted by unscrupulous people who set up fake profiles on Facebook for unscrupulous activities. In the second article of this series, we will discuss how to find the number of Fake LIKES on a Facebook page? Why fake profiles are made on Facebook? Some people are willing to risk their reputation, integrity, ethics, trust, clients and relationships for a few hundred or tens of thousands fake Facebook fans. When someone can lie to gain something as small as a Facebook fan, he/she would definitely not be honest with you while doing business with you where your money might be involved. How to spot fake LIKES on a Facebook page? You can put multiple data elements together to make a pretty good judgment call on the authenticity of their proclaimed community. In late 2012, Facebook started to crack down on fake fans and accounts. Many business pages lost a good portion of their fans if they were fake. Facebook claimed that 8.7% of accounts were at that time fake or undesirable. 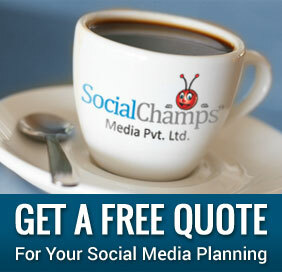 Have a look at a Facebook page of someone who recently launched a blog or business? You may see that their Facebook page may have tens of thousands of fans in just a short time. Building a real community on Facebook takes time and investment. Purchasing fake fans is cheating, unethical and wrong. This act also amounts to direct violation of Facebook terms and conditions. Following points show that fans of that Facebook page are fake. You may see that the engagement on their posts is zero. There maybe few LIKES on posts and no comments from fans. Because fake fans only LIKE the page and their job is over. Page-owners will never hear from such fans. When you have a look at the LIKES all posts have, you may see majority of them are from foreign countries. The business that owns this page may not have any operations in those foreign countries. What does that tell you? Do the double click around their page. You will see the blog stats and realize that they are bogus, cheaters, and buying their fans,how old is the page since its launch date? . As said earlier, see whether the majority likes of a page are from the city where the corporate organization based or whether they are from some foreign country where the organization owning the page has no presence. See what age-group do people who LIKE that page belong to. Suppose the page promotes a product meant for old people. If the majority people who LIKE that page are teenagers, what does that indicate? Check who LIKES the posts on daily basis. On Facebook, just next to the number of people who LIKE a page, you see the number of people “Talking About This” page. This number comprises of people who LIKE the posts and post comment on them. Despite a huge number of LIKES, if the number of people “Talking about this” is low, that indicates two possibilities. One, the content on that page is so boring that it cannot engage the audience. Or two, more than 90% of people who LIKE that page are not real people. They are just fake profiles. With less engagement, the page can lose its EdgeRank because of which your page may stop appearing in the search results of Facebook. By focusing on these five things, you can understand how fake LIKES can be spotted on a Facebook page. In this article apart from discussing fake LIKES, we also mentioned fake profiles. 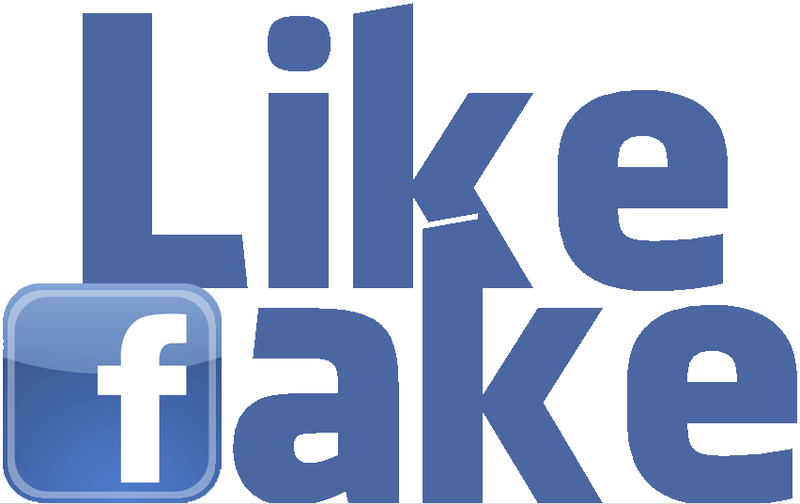 In the next article of this series, we will discuss how to spot fake profiles on Facebook. If you own a page on Facebook and spot the fake profiles there, remove them. This would add credibility to your page. Did you find this article informative? Do you know any Facebook page that buys LIKES? Post your comments and tell us about that page. I have noticed a couple of well-known horror websites have been buying fake likes to boost their popularity which are FANGORIA and Dread Central. There is no section to report this on Facebook but it is very obvious if you have watched their social networks over the years. Fangoria barely had 40,000 likes for years to go up in a matter of a few days to 171,000. I actually was on the page one day when the likes were being administered and they were going up one at a time for hours. That is not natural at all. Dread Central also buys likes to boost their popularity. You could see that they would not have any new likes for month or 30 people talking about the page for the site to go up in 3000 likes in a matter of minutes. These places get free trips, products, and advertising based on this fake popularity and it is ethically wrong. Yet there is nothing to do about it! You can also tell their are boosting their rank as well. Like Dread Central has a high Alexa here http://www.alexa.com/siteinfo/dreadcentral.com, but if you look closely you would see users spend less than a minute on the page and visit less than one page. This is evidence of bounces that are being purchased to raise traffic. Also, this is a US based site but gets substantial traffic from countries like Pakistan? It doesn’t add up. Fangoria has also published material from known plagiarists like Lianna Spiderbaby (http://www.theguardian.com/film/2013/jul/16/lianne-spiderbaby-plagiarism-blog-row-tarantino). And even after she admitted to plagiarizing most of her horror articles for the site alongside Fearnet, Fangoria still has her content on their website (http://www.fangoria.com/new/author/lianne-spiderbaby/) and even published a print article by her after the story came out about her admitting to plagiarism. I do not think these sites are following the ethical guidelines in journalism yet no one is doing anything about it.